Originally called Decoration Day, Memorial Day is a day of remembrance for those who have died in service to our country. It was first widely observed on May 30, 1868, to commemorate the sacrifices of Civil War soldiers, by proclamation of General John A. Logan of the Grand Army of the Republic, an organization of former sailors and soldiers. During the first national celebration, General James Garfield made a speech at Arlington National Cemetery, after which 5,000 participants helped to decorate the graves of the more than 20,000 Union and Confederate soldiers who were buried there. This event was inspired by local observances of the day that had taken place in several towns throughout America in the three years since the Civil War. By the late 1800s, many more cities and communities had begun to observe Memorial Day, and after World War I, it became a occasion for honoring those who had died in all America’s wars. 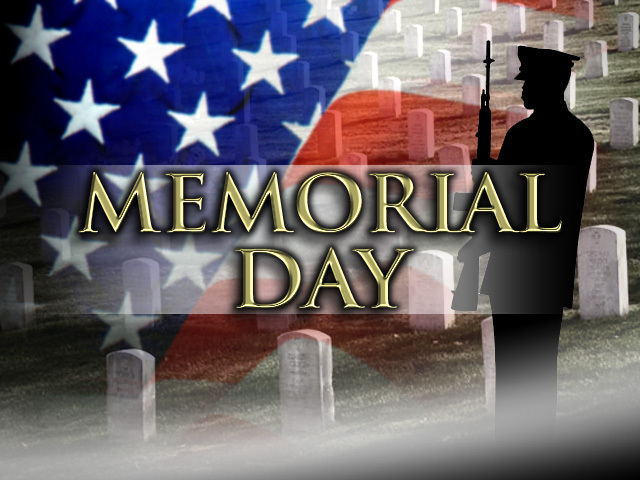 In 1971, Congress declared Memorial Day a national holiday to be celebrated on the last Monday of May. Several southern states, however, have an additional, separate day for honoring the Confederate war dead: January 19 in Texas; April 26 in Alabama, Florida, Georgia, and Mississippi; May 10 in South Carolina; and June 3 in Louisiana and Tennessee.